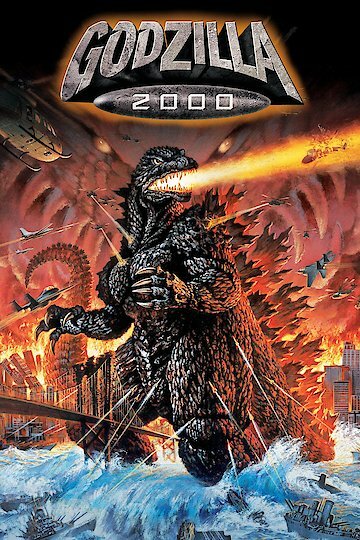 Godzilla 2000: Millennium was launched on 1999 as a Sci-Fi fiction movie. The movie was the 23rd installment for the Godzilla series and is the only one to include Orga, an antagonist non-mutated alien. After the tragic and cataclysmic events in 1954, Japan considered Godzilla to be a literal natural force that merits attention and consideration. Succeeding the start of the 21st century, the Godzilla Prediction Network was created to privately study the gigantic extra terrestrial dinosaur and forecast when the creature hits landfall. On the other hand, researchers of another group known as Crisis Control Intelligence unearths a 60 million-year old unidentified flying object in the Japanese trench. As the organization tries to move the UFO to their laboratory to further study it, the ship takes off and soars to the sky all by its own. After the UFO leaves, the feared Godzilla arrives and immediately fights the Japanese Self Defense Forces. Armed with newer and better weapons including Full Metal Missiles, the unit is able to hold the monster for a short while. The UFO suddenly comes back and looks for genetic data that only the dinosaur has. The ship begins to fire at Godzilla. Outnumbered and outgunned, Godzilla is forced to retreat underwater while the UFO lands to resupply its solar energy. Yuji Shinoda, the CEO of Godzilla Prediction Network, explores and unravels the secrets to the monster's regenerative attributes, yet so has the alien ship. It flies back to evade the Japanese Self Defense Forces' attempt to capture it. The ship heads towards Shinjuku, landing above the Tokyo Opera City Tower. As it attaches to the top of the structure, it starts to drain all the documents regarding Godzilla from master computer systems. The Crisis Control Intelligence tries to destroy the alien ship with explosive charges. But during the heavy fire, Shinoda is almost caught by the military attack while trying to research more about the extra terrestrials. Later on, the monstrous Godzilla shows up and fights the UFO once gain. But Godzilla is stopped by the UFO's barrage of attacks and absorbs a portion of his regenerative abilities. This causes the UFO to evolve into a squid-form monster known as the Millennian. Having different DNA strands, the Millennian continues to mutate into a more horrendous creature called the Orga. Godzilla 2000 is currently available to watch and stream, buy on demand at Amazon, Vudu, Google Play, FandangoNow, iTunes, YouTube VOD online.